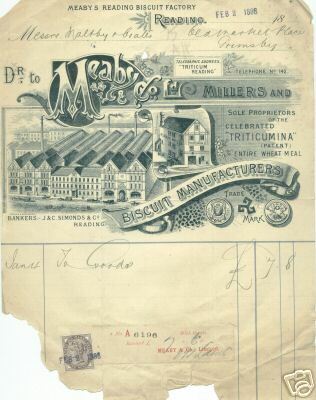 Many brewers of the era turned to banking, in part to employ surplus wealth but also because brewing generated so much cash with many publicans depositing their funds with their landlord. 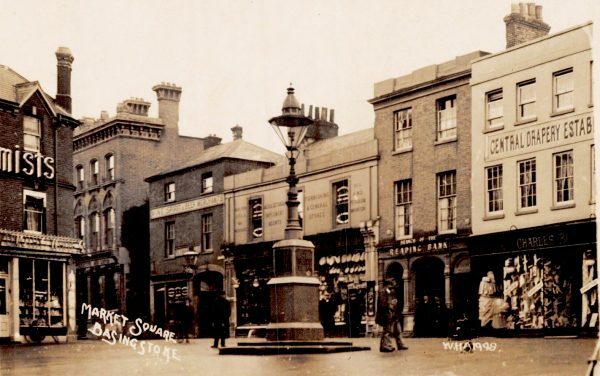 In 1791 William Blackall Simonds (1762-1834) co-founded a bank with three other partners, Messrs Micklem, Stephens and Harris, in Reading Market Place. 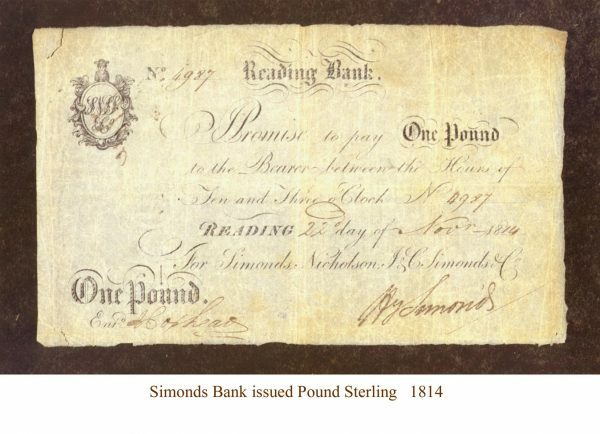 In the same year WB Simonds had been appointed Receiver-General of Taxes for West Berkshire and he could use the accumulating tax receipts for up to six months before remitting them to London, another useful source of short term funds for the bank. 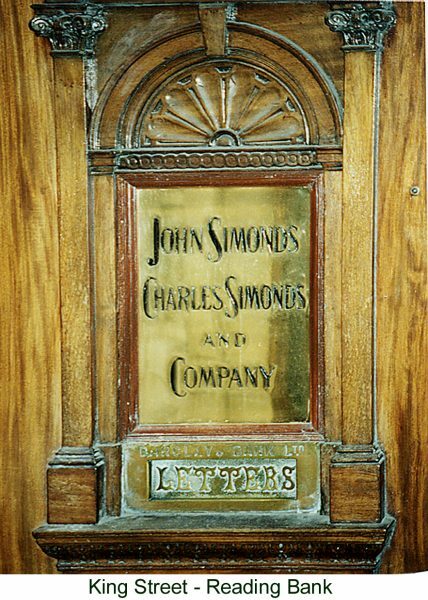 It appears that by 1814 WB Simonds had decided to move on from brewing and concentrate on banking. He withdrew from his banking partnership and founded another in nearby King Street. His partners were his son Henry, Ralph Nicholson, and two cousins, John and Charles Simonds. Five branches in nearby towns were established over time. The banking partnership was carried on completely separately from the brewing business. By 1859 John Simonds was the only partner alive and in 1871 he took his two sons, John and William, and a nephew, James Simonds, into partnership and over the years, there were about 33 partners, all from the family. In 1913 the bank amalgamated with Barclays. 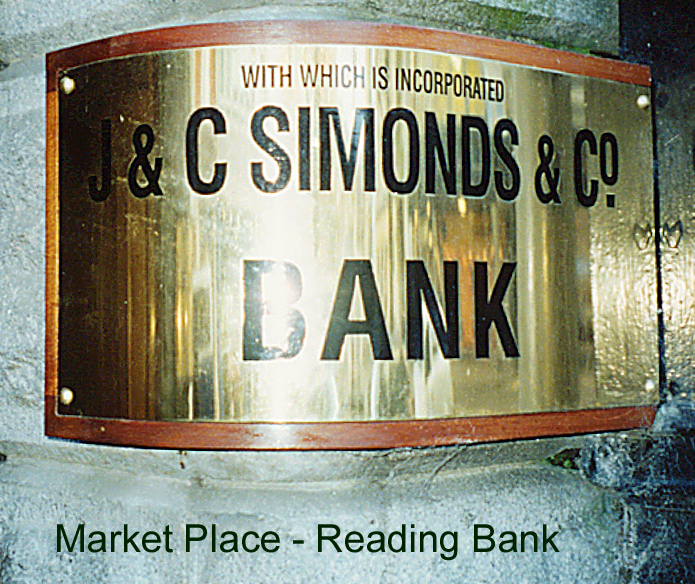 This book tells more of the story and was produced by Barclays Bank in 1981 to celebrate the refurbishment of the original Simonds Bank building on King St, Reading.